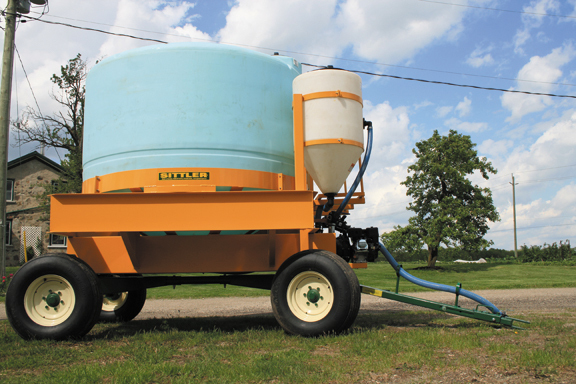 Sittler windrow turners come with standard water injection systems, allowing water or inoculants to be injected into the windrow. The systems may be hooked up with a removable tow bar, pulls an 8 ton Sittler Water Wagon or may be connected with an extended hose to a reservoir. Sittler 1014 and Water Wagon shown above. 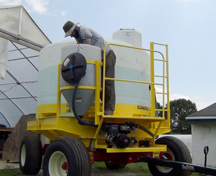 As an additional option Sittler has also developed a specific 2 tank inoculation/compost tea application system with cone bottoms recommended for easier more efficient cleaning, prevention of biofilms and pathogen contamination. 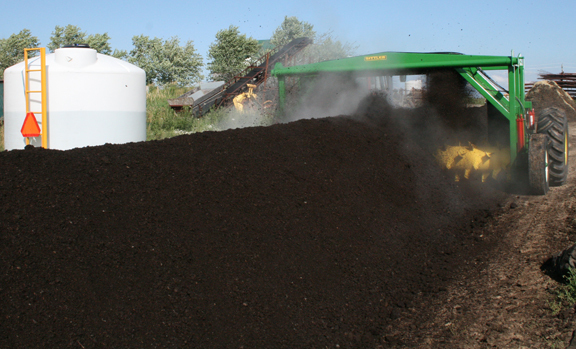 Compost extracts may be made directly in our Inoculating Water Wagon. 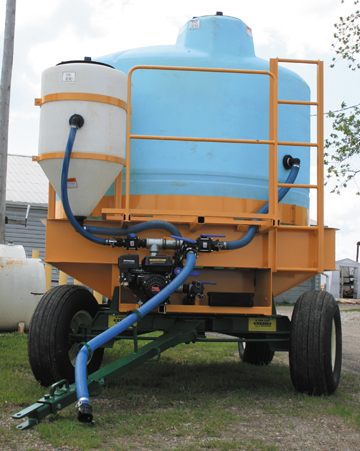 Microbes and nutrients can be extracted directly in the inoculating tank and applied to the windrow with the Sittler Water Injection unit that is standard on all of the Sittler turner models. Finished compost that has been evaluated for beneficial microbial presence is placed in a mesh bag and dunked into the water in the inoculating tank. The bag is gently massaged so the microbes, humic acids and other nutrients are released into the solution. Pumps may also be used. The compost needs to be inoculated as the windrow is turned. 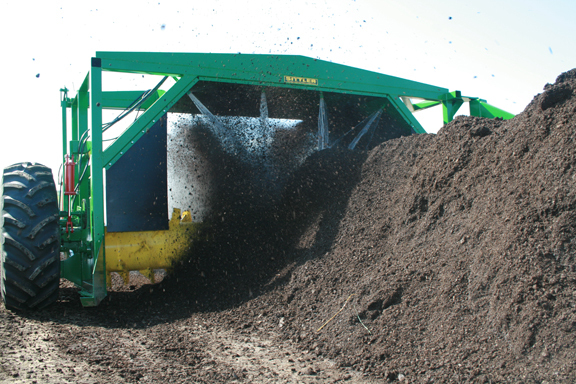 Compost particles experience maximum exposure during the aeration process with microbes and nutrients being evenly distributed into the windrow. Testing for moisture in the windrow by Dr. Elaine Ingham, founder of SFW, showed consistent readings after inoculation for both moisture and microbial presence. Keeping the moisture level at 50 -55% is essential for the pile to heat up causing weed seeds to germinate and die and for the elimination of phyto toxins. With the Sittler water injection system liquids are evenly distributed. An optional remote valve controlling water flow from the tank, may be controlled from the tractor. 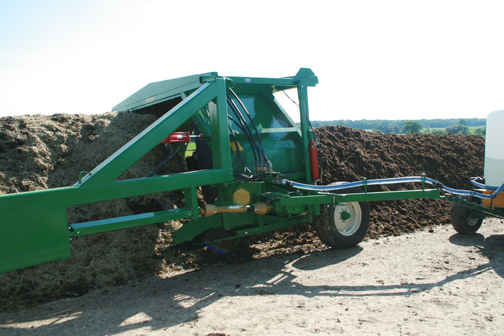 Sour piles or contaminated windrows may also be remediated with the Sittler water wagon and injection system.